Do your students sigh at the mere mention of the word grammar? Do you struggle with how to make teaching grammar meaningful and lasting? 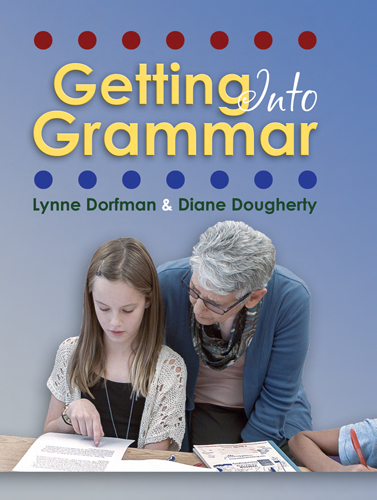 In this video, you'll follow Lynne Dorfman and Diane Dougherty into second- and fifth-grade classrooms, where they weave the teaching of grammar into literacy instruction in a way that engages students and increases their understanding of essential language skills. Unfolding over two days, the lessons focus on both nonfiction and fiction and show you how to bring grammar into the teaching of these two foundational genres. Watch as Lynne and Diane employ mentor texts to model how to use prepositional phrases and when to start new paragraphs. You'll see them conferring with student writers as well as discussing the lessons with teachers Maribeth Batcho and Dan Monaghan. Pair with Lynne and Diane's book Grammar Matters for a complete PD program on K-6 grammar instruction.